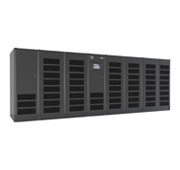 Mission Critical Magazine, dives into the new Emerson Network Power NXL UPS model. The equivalent of one of every nine persons on the planet uses Facebook. We generated 1.6 trillion gigabytes of data last year. That’s enough data to give every single person on Earth eight 32-gigabyte iPhones, and it’s an increase of 60 percent in just two years. Every hour, enough information is created to fill more than 46 million DVDs. Global e-Commerce spending topped $1.25 trillion in 2013. It’s always been important to respond to your customers, of course, but now there are more of them, demanding more information, and more quickly: the report says that if the online video they are watching buffers for more than five seconds, 25 percent of viewers drop off. And if the video buffers for more than 10 seconds, half of them are gone. Oh, and did we mention that the average cost of a data center outage now runs more than $900,000…an increase of one-third in just two years? Which is why it’s critical for administrators to be able to flexibly configure their data centers, and to be able to react rapidly when requirements change, or when there’s a problem. We’ve found that a unified approach to the entire infrastructure is the best way of handling these situations. Whether it’s heating and cooling, power, servers, software, or more, the ability to administer data center operations in a real-time manner has become more imperative than ever. It’s one of the key elements in the development of the dynamic data center, and in being able to easily manage changes and maintain an optimal environment. We’ll be at the Gartner Data Center, Infrastructure & Operations Management Conference in Las Vegas in a couple of weeks, at booth #211, showing off the equipment and software that we’ve developed to help you make your business as dynamic as your data center. We’ll also be speaking about where our clients believe the data center is headed more than ten years from now. Their input has proven critical in the past, and their thinking is helping us develop the solutions that will solve their challenges both today and tomorrow.